You have selected the Vault of Knowledge Gold membership level. You know so much and have experienced many things in your life. Certainly, you are an expert in many fields, and the more time you devote to studying and practicing in these fields, the better you become. As an entrepreneur, there are many things you need to learn that you may not have had the time to become an expert on. With all the things requiring your attention ~ branding, setting up your corporate structure, planning for financial success, websites, social media outlets, blogging, marketing and so very much more, how do you have time to learn and apply all the specialties, much less have time left over for your real passion, your clients? It’s okay, because now you don’t have to! Learning is easy with the Vault of Knowledge. You no longer have to spend days upon days, research and trying to sort through all the internet overload to find what will work for you. Each of our gurus has spent years studying their field of expertise and they have compressed our talks into just what you need to know. Because of the specialties our experts excel in, they can get you started with less time and point you in the right direction… for YOU! Experts speak on topics such as leadership, social media strategies, increasing sales, health, creating a following, your financial wellness and more. These recordings are available to you when you need them, any time you need them. 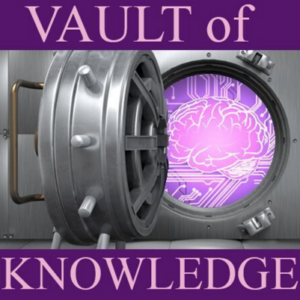 You can learn and grow from any of the topics that you could use a guru’s advice on anytime you please when you have full access to the Vault of Knowledge. Our Transcended Souls Conversations teleconferences will be recorded and added to the library each month so you have access to the latest information on how you can build your business and your best life! Please let us know what other topics you would like. We select our experts based on what YOU want. The price for membership is $108.00 per Year.